Kedleston Hall is a National Trust property near Derby and one of the places that we walk around on a regular basis. Last week, after the snow cleared, we decided that we would go for a walk and, despite the biting wind and occasional shower it was a pleasant amble for a couple of hours. 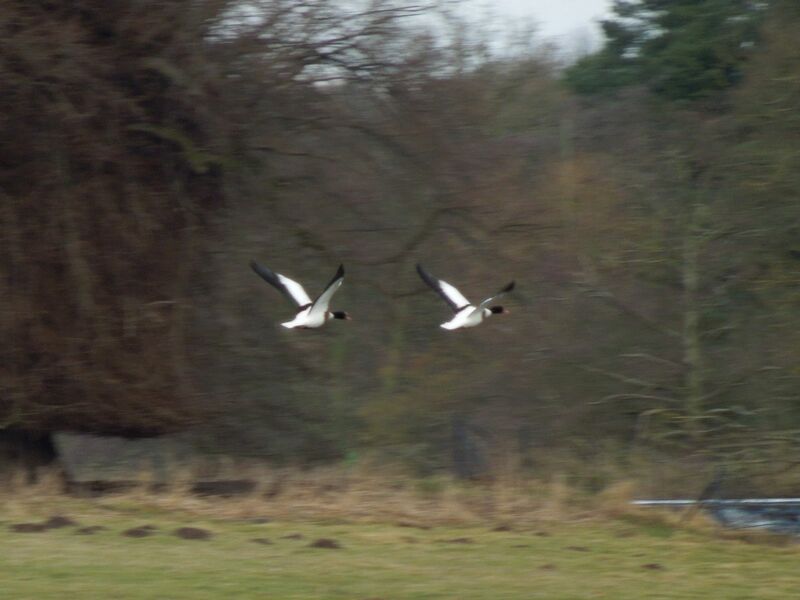 I always carry my camera and I was lucky enough to catch these Shelducks (something I don’t remember seeing before). The male (with the red knob above his beak) was showing off to the female nodding his head up and down but as soon as we moved towards them, they moved further towards the lake so this was the best picture I could get of the birds themselves and then they flew off, over the lake and far away. 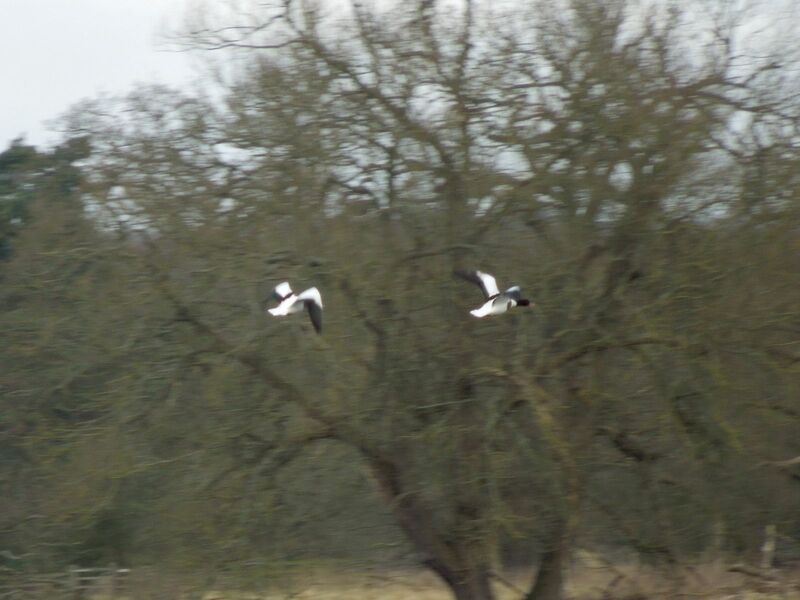 My little point and shoot camera outdid itself and I got a burst of pictures as they flew away. 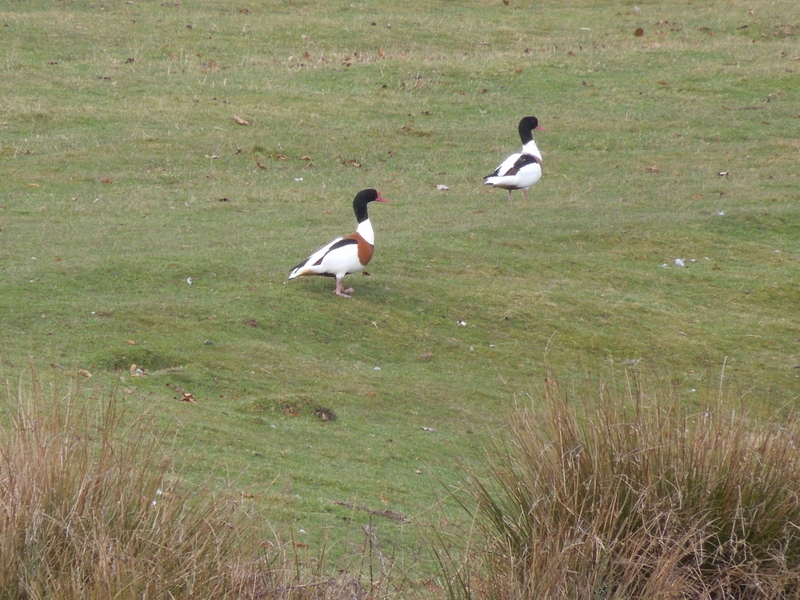 According to my bird book, shelducks are mainly coastal although sometimes seen on internal waterways. 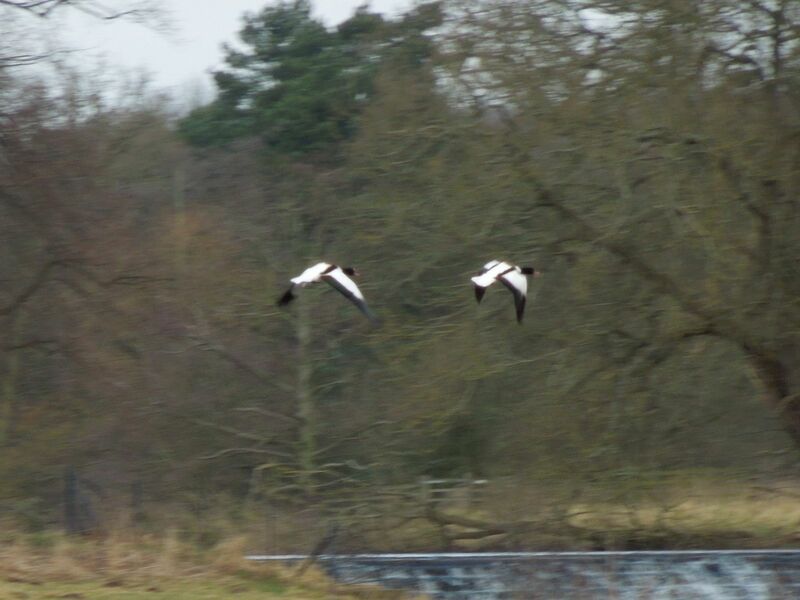 This entry was posted in Wildlife and tagged Birds, national trust property, nature, outdoors, Shelduck, wildlife. Bookmark the permalink.